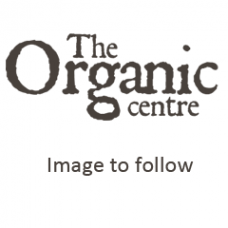 Organic Gardening Summer Workshop with Ingrid Foley (Saturday 27 July 2019) .. Healthy Eating – Kids Nutrition with Ciaran Clancy (Saturday 03 August 2019) A fun h.. Sustainable Living on €6,000 per Year with Brigit & Ron Beemster (Saturday 17 Augus..
Bushcraft for Adults with Boris Achenbach (Saturday 17 August 2019) Bushcraft is the a..
Polytunnel Autumn Workshop. Saturday 24 August. Polytunnel Autumn Workshop with Hans Wieland (Saturday 24 August 2019) Prepare..
Wild Mushroom Foraging with Tina Pommer (Sunday 25 August 2019) Wild mushrooms..
Get to Know your Soil and learn how to improve it with Ingrid Foley (Saturday 07 Septem.. Saving Vegetable Seed Workshop with Wayne Frankham (Sunday 08 September 2019)Frank wil..
Herbal and Natural Remedies workshop with Gaby Wieland (Saturday 14 September 2019) Naturo..
Plan your Garden Now with Ingrid Foley (Saturday 14 September 2019) This time of yea..
Wild Mushroom Foraging with Tina Pommer (Sunday 15 September 2019) Wild mushrooms ar.. Growing Winter Salads in Polytunnels with Klaus Laitenberger (Saturday 21 September 201..
Wine and Cider Making with Phil Wheal (Sunday 22 September 2019)Home wine making is sim..
Sourdough Baking Workshop with Lucy Cooke (Saturday 28 September 2019) A hands-on ba..
Apple Day & Taste Leitrim Harvest Feast (FREE EVENT) &n..